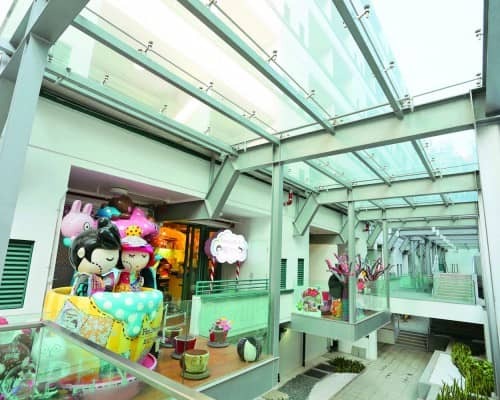 Central's warren of streets and alleys, packed full of stores and markets, makes it a great area for treasure hunters. 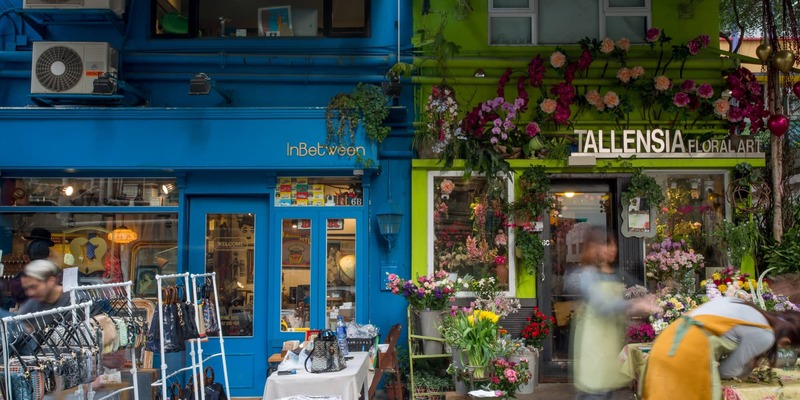 Follow this tour for the best finds, from antiques and Chinese calligraphy to stylish vintage fashion and second-hand books. 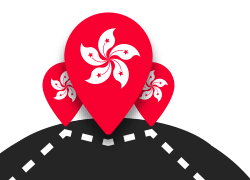 Start off on Upper Lascar Row. 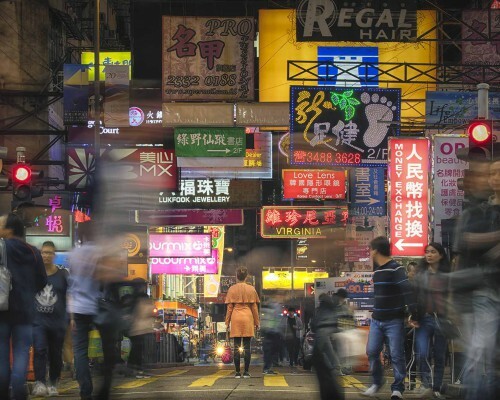 The highlight of this street is the seemingly endless row of antique stores, offering an eclectic collection of Chinese calligraphy, arts and vintage furniture. 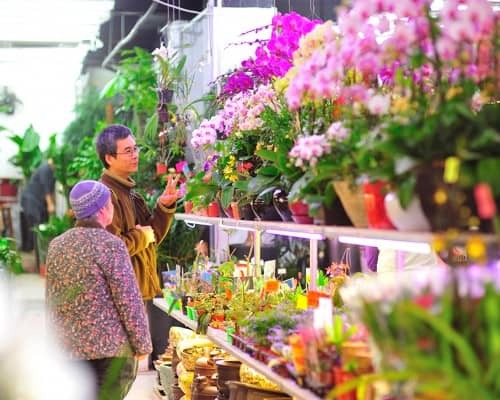 This runs parallel to stalls that sell an array of bric-à-brac collectibles, such as Mao Zedong alarm clocks and Bruce Lee posters. 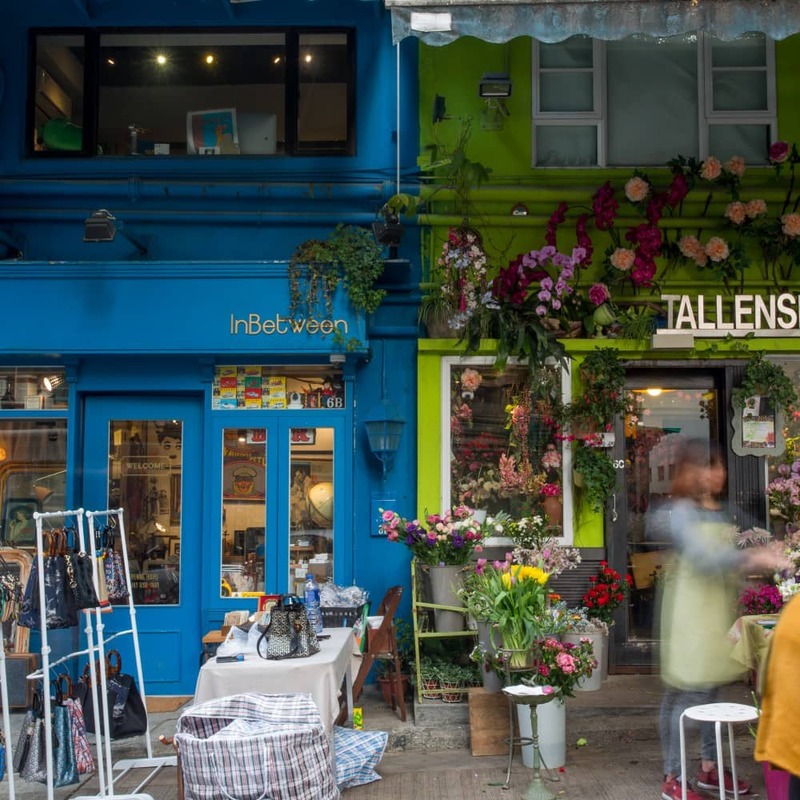 Walk uphill to reach Tai Ping Shan Street and the PoHo area — a young and vibrant community of businesses formed by creative minds and the style-savvy. Visit the blue-clad vintage store InBetween, which houses an international collection of vintage goods, ranging from decanters to film posters, vinyl to lapel pins. 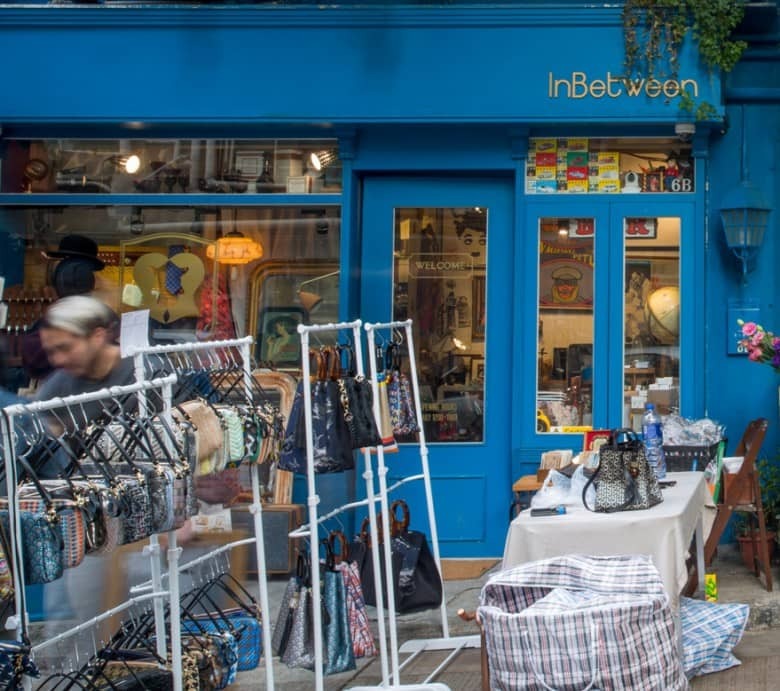 Nearby sits L’impression du temps. 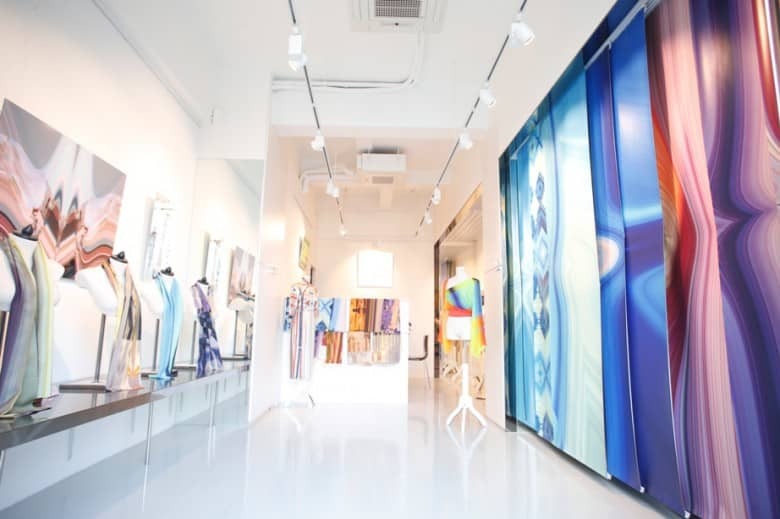 Hanging inside the well-lit store are colourful banners, alongside silk foulards and clothing with exquisite prints. 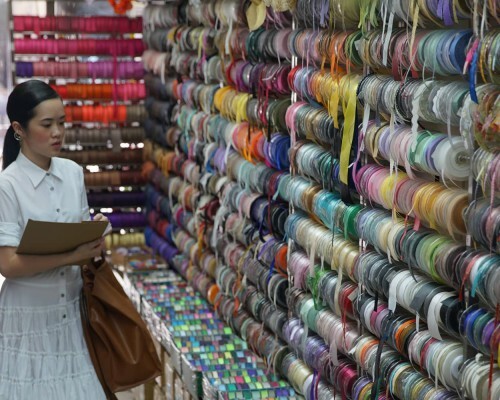 This is in fact a pattern design studio, where the designer generates algorithmic patterns by computer to produce wallpapers, fabrics and even 3D-printed goods. 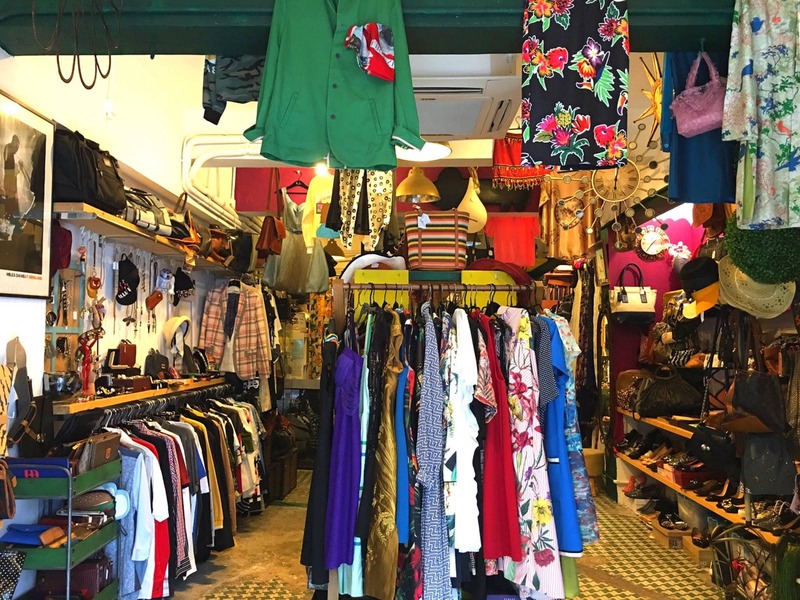 Now located on Lok Ku Road, Hipster 9 is a vintage fashion store which started out on Hollywood Road among elderly hawkers. 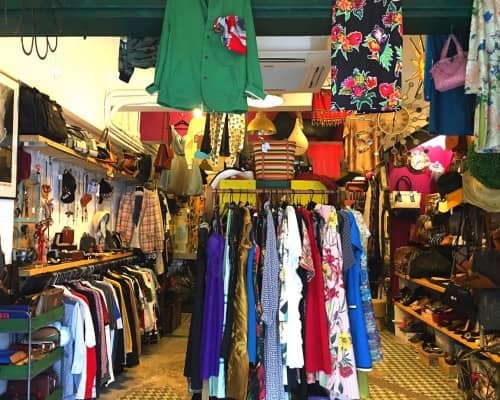 With unique designs and a European vintage store vibe, it is home to a vast collection of designer bags, brass jewellery from the 1950s, vintage leather jackets and more to intrigue even the most discerning of customers. 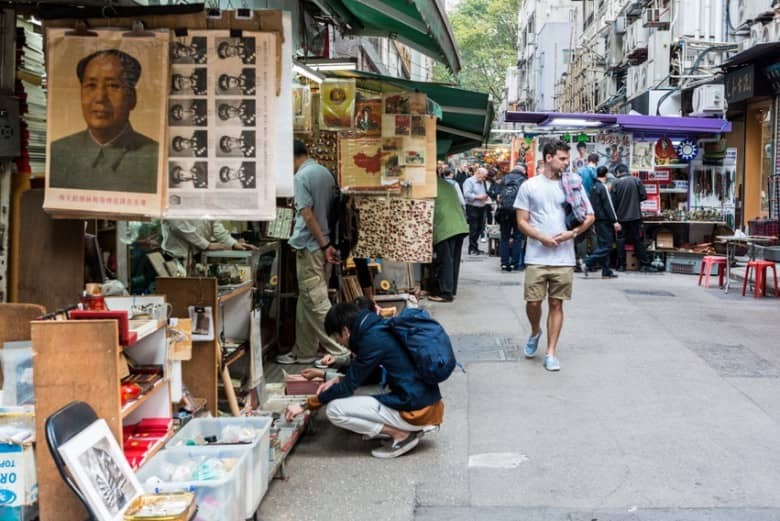 Wrap up your stroll around the Bridges Street area — a melting pot of old and new, with second-hand books and knickknacks that feed your imagination about Hong Kong’s past. 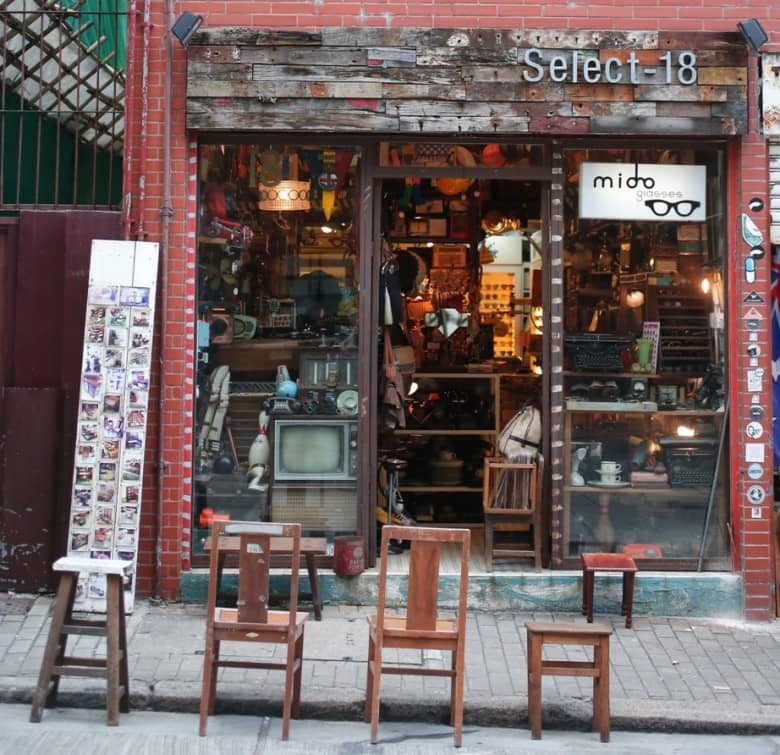 Treasure hunters will be delighted at Select 18, a place with a carefully curated collection of items ranging from vintage spectacles, bags and hats to old radios and vinyl.